Give the gift of clear vision this holiday season. Get $1200 in Premium LASIK credit for only $12! Get my $12 gift card now! Let’s get started! Schedule your appointment online today! LASIK of Nevada is a state-of-the-art LASIK practice that provides advanced vision correction treatments for patients throughout Nevada. from finding your LASIK Twin! Is fear keeping you from seeing clearly? someone with your same prescription who is loving the results! Take me to meet my LASIK twin now! We offer 3 locations near the Las Vegas & Reno areas. Look no further for a top-notch LASIK clinic in a city near you! Wondering if you might be a candidate for LASIK Vision Correction? Take our free self-exam now! Trust LASIK of Nevada's highly-experienced surgeons to provide you with excellent patient care. SELF-TESTDiscover today if LASIK is right for you by taking our online self-test. As a special BONUS we'll also send you our LASIK infokit! Over 50,000 successful eye procedures and over 20 years of experience. Did you know that LASIK is the most popular elective procedure in the history of medicine? LASIK is a great solution for those who want to reduce or eliminate their dependence on eye glasses or contact lenses for nearsighted, farsighted, or in-between vision. It is also great solution for those who are tired of dealing with the daily maintenance issues and visual limitations of contact lenses. LASIK eye surgery is a great choice for anyone whose lifestyle and/or occupation would be improved by ridding themselves of their visual appliances, whether these are distance glasses, reading glasses, bifocals, or contact lenses. LASIK provides a safe and effective way for you to live your life free of your dependence on these appliances to see, play, read, and work better. In other words, visual freedom at last! For each and every one of our patients, the first step in deciding whether or not LASIK is right for you is to do your homework. This website has been carefully designed to make that research easy, educational, and rewarding. There is a great deal of important information about LASIK here, so please take your time and let this information really sink in. For those in the beginning stages of this process, there are five areas you should initially visit: Is LASIK Right for You?, I LOVE My LASIK!, Ask Dr. Rothman, LASIK FAQ, and LASIK Technology. Once you've decided that LASIK is right for you, or if you're still not sure and would like to speak to somebody one-on-one, you'll be talking with the top LASIK experts in Las Vegas and Reno, Nevada. If you have questions, we'll have the right answers for you. Your eye surgeon, Richard C. Rothman, M.D., has performed nearly 50,000 laser vision correction procedures. He has spent the past 23 years correcting vision and has nearly 19 years of LASIK experience. Dr. Rothman is one of the most experienced LASIK surgeons living in Nevada today. Our doctors and staff have over 50 years of combined LASIK experience, and we are committed to achieving the best possible outcome for each individual patient. Our patients tell us that we are the best LASIK practice in Las Vegas and Reno -- and quite possibly in the entire state of Nevada. We invite you to meet us and see for yourself. Recognizing the realities of LASIK costs and the shortcomings of medical insurance, Lasik of Nevada offers several low-cost financing plans. Schedule your appointment online today and discover the amazing results and clarity of vision that await from our simple and safe LASIK procedures. As an accomplished LASIK surgeon, Dr. Rothman recognizes that the best surgical results can be achieved only through all-laser, blade-free vision correction procedures that are customized to each patient's visual needs. He creates a personalized treatment plan for each patient at our LASIK eye surgery centers in Las Vegas and Reno. Some of the factors Dr. Rothman takes into account include the patient's refractive errors (degree of nearsightedness, farsightedness or astigmatism), overall health, lifestyle preferences and profession. 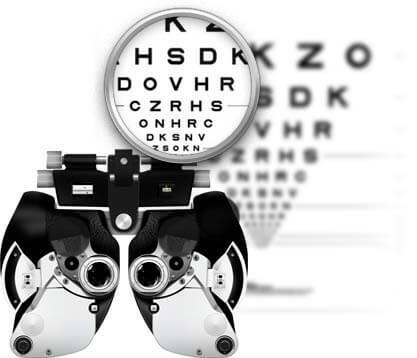 As a result, the vast majority of Dr. Rothman's patients achieve 20/20 vision or better after surgery. With his experience, skill and advanced technology, Dr. Rothman is also able to lower some of the LASIK eye surgery risks associated with the procedure. As a result, his patients have a very low rate of complications and a more pleasurable overall experience. For a better idea of the typical LASIK of Nevada patient experience, browse through some of our LASIK eye surgery reviews and watch our LASIK surgery video collection. One of our practice's most asked-about topics is the cost of Lasik Las Vegas surgery. It is understandable that our patients are curious about how much LASIK costs, but it is impossible to provide general pricing information that is accurate. In truth, LASIK surgery costs vary, depending on factors such as the technology used. Dr. Rothman uses premium lasers and the latest technology for safe and precise treatment. LASIK is almost universally regarded as one of the best investments a person can make in their health and quality of life. Can you really put a price on the freedom from bothersome visual aids? Maybe not, but compare the one-time cost of LASIK to a lifetime of buying and maintaining glasses and contacts. Many of our patients have told us that their only regret about LASIK is not having it sooner. To learn more about the life changing benefits of LASIK and how much it will cost you, schedule a consultation with Dr. Rothman today at our LASIK surgery clinic. Dr. Rothman is an exceptionally talented LASIK surgeon who has dedicated his career to helping his patients achieve excellent vision without eyeglasses. Dr. Rothman appreciates the difference affordable LASIK can make in a patient's life. Over the years, he has performed over 50,000 procedures and has helped more than 25,000 patients improve their quality of life through laser eye surgery. See all our doctorsSchedule an appointment!